The Paperboards and Speciality Papers Division of diversified ITC Ltd., today announced plans to take up agri-forestry in a massive scale engaging local tribals and farmers thereby help them secure higher returns from the same land. ITC PSPD in partnership with CRIDA, Acharya NG Ranga Agriculture University, Integrated Tribal Development Authority (ITDA) has developed a new model based on its research initiatives which enables farmers to take up inter-cropping and increase their farm yields. This is mutually beneficial, while ITC manages to get raw material for pulp making from the intercropping of Eucalyptus, farmers get higher returns from the same field. The ITC PSPD held a Rythu Sadassu in one such farm fields where cotton crop had eucalyptus and farmers from various parts of the State narrated their success stories of intercropping suitable for increasing farm yields. 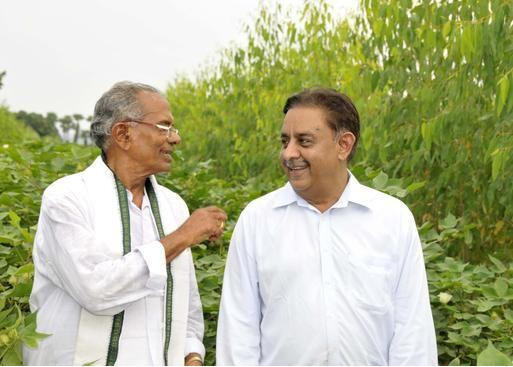 Dr. H.D.Kulkarni, Vice President (Plantation) ITC PSPD, said that it is proposed to take up at east 1000 hectares by the end of this financial year in Andhra Pradesh, Madhya Pradesh and Maharashtra. Farmers can grow pulpwood trees along with tobacco, cotton, bengal gram, chillies etc., which enables them to add to their income. Mr. Sanjay K. Singh, Divisional Chief Executive, ITC PSPD, told Business Line that ITC has taken this initiative not only as a corporate social responsibility but also to meet the growing requirement for raw material for making pulp and paper at its unit. The research and development teams of ITC based in Bangalore have developed certain traits which suit such intercropping. They are particularly useful for farmers who have small holdings and low income due to uncertainties of nature. “For more than a decade, ITC has taken up social forestry initiatives engaging local tribal population. Through demonstration projects, we have managed to convince them about the advantages of taking up planned cultivation. The buyback assurance from ITC is an added incentive as they do not have to struggle going about marketing their produce,” Dr. Kulkarni said. Several farmers narrated their success stories about how they have returned good yields and also higher incomes on their farms due to intercropping. "Apart from engaging small farmers and tribals with small holdings, ITC also works with large farmers needing help. By doing so we also ensure that there is steady backup of raw material for our plant need. Incidentally, several other paper manufacturers also buy wood from these farmers," Mr. Singh said.